Amelie picked out everything she wanted for breakfast! 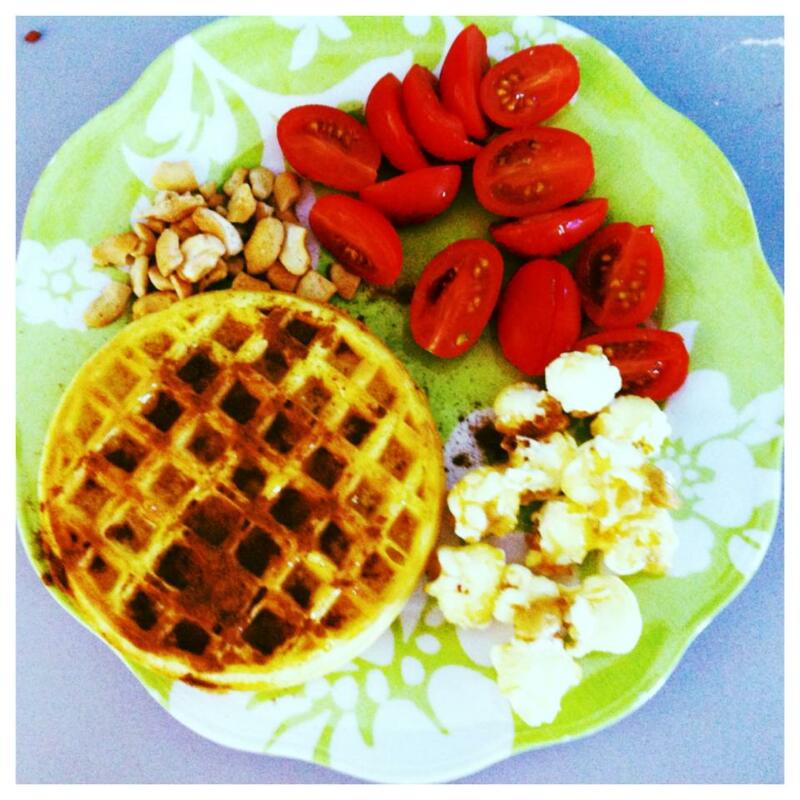 Waffle with honey and cinnamon, cherry tomatoes (she calls potatoes), pop corn, and cashews! Pretty good job baby girl! Nonna’s sure proud of her little bitty rock ‘n roll baby! She loves her tomatoes. Could that be any sweeter??? A well rounded breakfast. I believe almost all of the food groups are represented.